While a range of Looney Tunes stars will also be available, who would want Tweety, when you can have Superman, The Flash or Supergirl? 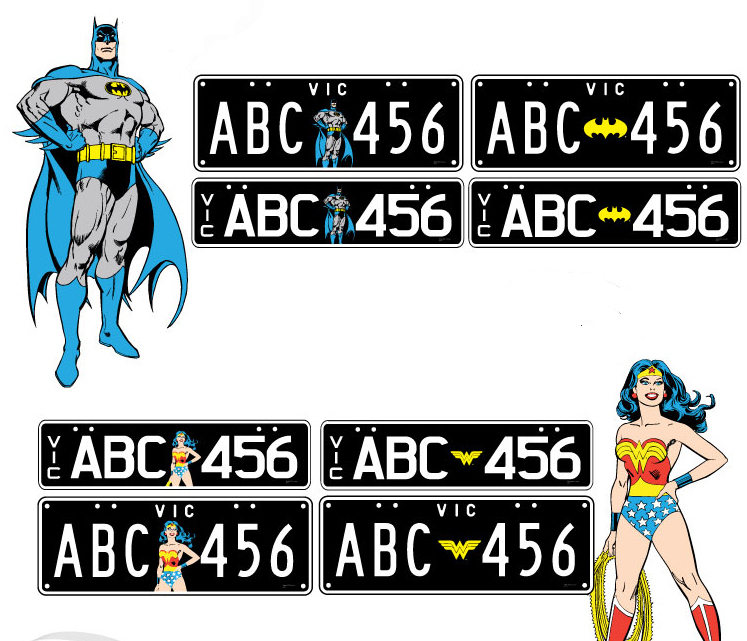 Each hero comes with the option of having the character or their globally recognised icon on your plate, and will set you back anything upwards of AU$195. 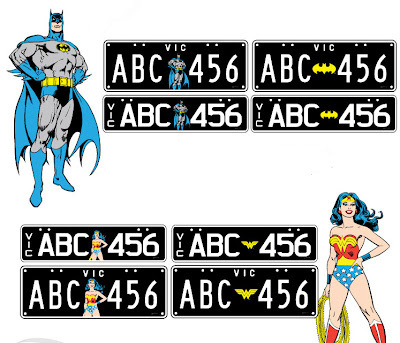 Give your fellow motorists something to road rage about, visit Vplates for your DC plates after the jump. those are cool! but how about one for Capt. Boomerang. he's not a hero but they could make an exception for him i would think. by the way i believe Boomerang makes his first appearance in the new DC 52 Universe in tomorrow's debut of Suicide Squad #3. i'll be picking it up first thing tomorrow morning and posting a review shortly there after. Yeay! I'll be readding that! Amazing that they let peolple personalize their licence plates so. I'd love to have a SuperGirl. Captain Boomerang would be a good choice Dave - and I'm sure he would've got a mention in the brainstorm. He just might not have had promo art done of him by José Luis García-López is all. Look forward to the SS debut! Aliera - here you can get plates with sports teams on, the works. Supergirl is available in her classic set of duds and I'm sure a few girls will be adding the Maid of Might to their set of wheels! The Registration plate shall bear nine characters, laser branded into the reflective sheeting and would act as a permanent consecutive identification number. The hot stamping film shall bear a verification inscription.